Debut records are never an easy thing. The artists may not have grasped what their true identity is yet; it's once they're comfortable in their own skin that the lightening is caught in the bottle. 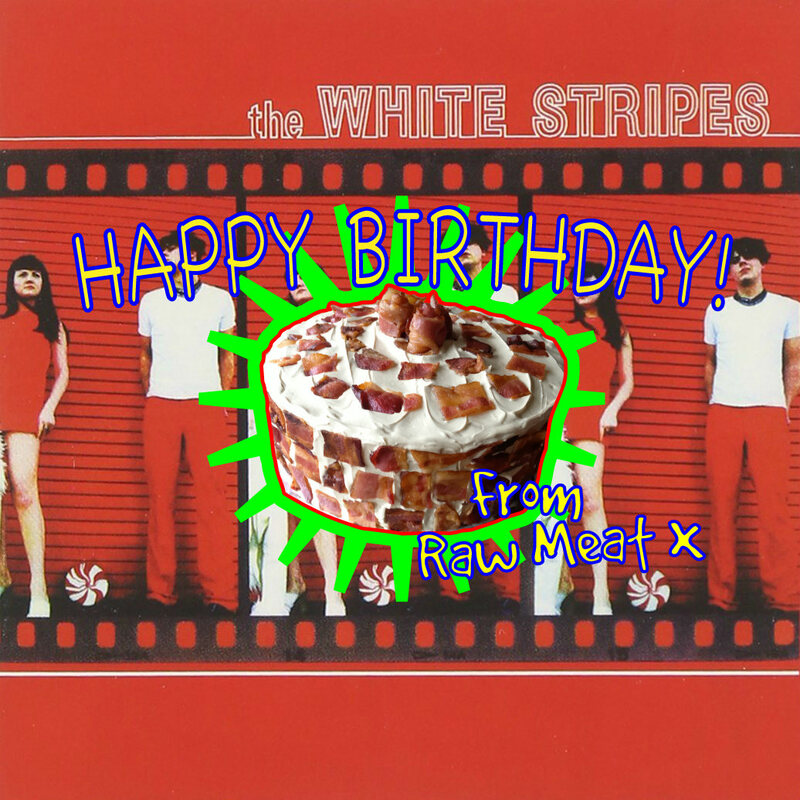 The White Stripes' eponymous debut album showcases their comfort, not only in their birthday suit, but also their soon to be trademark red, white and black clothing. The Detroit based pairing of Jack and Meg White bring a blues-rock based sound that already seems arena ready. Jack White’s wailing guitar riffs and yelping vocals are brilliantly juxtaposed with the simple thumping percussion of Meg. The evocative style in which Jack White sings blends blues, punk and rock gives the album its unique sound. The three primary sounds of vocals, percussion and guitar are utilised in such a way it creates a feeling of raw minimalism. Although the album features seventeen songs, it’s only 43 minutes long. This is partly due to the raucous way they blaze through some of them, although there are noticeable tracks that differ from the abrasive side of their sound, for examples listen to ‘Sugar Never Tasted So Good’ and ‘Do’. The former sees the stripped back combination of acoustic guitar and tambourine to great effect, although, whatever it feels like they're building up to (another reverb-soaked riff or screaming burst of vocals?) they never reach and it leaves the song sounding unfinished, missing the final piece of the jigsaw. The folk sound it utilises does provide the album with the diversification it needs though. Out of the seventeen, it's no surprise that some of the tracks can be considered filler. One in particular being, ‘When I Hear My Name’; possibly the definition of simplicity, the lyrics don't even stretch over the twenty word mark. That’s not to say that simplicity is always a negative. The song would probably be perfect for a live performance, with the repetition of, “Oh” begging for some audience participation. On the album, though it seems out of place and lacking in the originality, humour, or maybe even plain quality that the other songs possess. A noticeable point of the album is its use of covers. Bob Dylan's, 'One More Cup of Coffee' revels in its new White Stripes makeover with Dylan’s poetic lyrics complimented perfectly by Jack White’s vocals. The strained cry of, “One more cup of coffee for the road” in desperation, showcases Jack's vocal performance's ability to tell a song's story. It's a highlight of the album. Other highlights of the album are based on The White Stripes sticking close to their lo-fi blues sound. With ‘I Fought Piranhas’ including Johnny Walker of The Soledad Brothers on slide guitar. As the song progresses it feels like it's building to something but, once more leaves you hanging, slowing down to a drifting conclusion. A perfect end to the album. Although the sheer amount of songs does leave you feeling that a lot of the album sounds the same, saying the album shows great promise, would be a massive understatement, with some songs showing true originality and strokes of genius.